What's it take to write a book? "What's it take to write a book?" people ask us all the time. The answer is easy, "A lot of money and a lot of time." That is if you want to write a good book. Seriously, for those of you who have a book in you and want to know the inside scoop on writing a book we decided to put down our best thoughts. 1. You have to want to write this book bad enough or be willing to pay someone to do so. The first secret is that the book writing, managing, editing, publishing and marketing takes more time and more money than you can imagine. To get to the end result you have to want it bad enough or it has to be one of those things that you just cannot not do. If you can say "Yes" to both of these points, you have the first ingredient of what it will take. As an option if you don't have the time, but have the money you might think of hiring a ghost writer. On the other hand, you can see treat your book as a creative hobby for yourself and your family and recognize it is what it is. Decide on where you want to spend your editing, coaching, and manuscript reviewing dollars and budget enough funds to pay professionals to help you through the process. Start early and find people who will be honest, provide useful feedback and also be encouraging. This is a winning combination that will need. It is guarranteed that you will have a much better product and won't be caught by surprise if you use experts early on in the process. Before you start hiring professionals, however, go to writing conferences and classes, listen to podcasts and and take every free teleseminar given on the subject. A great deal of advice is there for the taking. In our experience over 5 years, we took classes, attended conferences, used the services of a book coach, a developmental editor, a copy editor, a manuscript reviewer, a Publisher/editor (free), a group of supportive friends who were reviewers, a second developmental editor, and a book designer. Writing with a co-author is much more fun, exhilarating, and will be challenging and frustrating in different ways. Most importantly be clear with each other on what you expect in terms of amount of time spent writing the book, editing, and how financially you will split the check (even if you are married, talk about where the money is coming from to pay for the book). Talk about what happens when the expenses are higher than you thought or you find that the book needs to be revised or needs another edit. How will you make decisions and how do you decide what name goes on first. Personally, my first book I wrote was with a business partner and it was a business arrangement which made it all easier. My second book written with my husband required the same types of conversation on who does what and how much. And if you are curious, the answer how my name got on top; we flipped a coin and I won! 3. 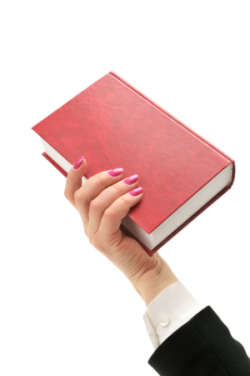 Learn everything you can about the publishing industry as it is changing. The industry of publishing is changing every week and the more you can learn about the industry the better you will be at making wise choices based on your own goals and situation. There are fewer and fewer publishers and agents who will take unknown authors. Out of those there are fewer and fewer who will provide you with the marketing and PR expertise you desire. Understanding the trade-offs of working with an agent, a publisher, publishing through a Authors Publishing company (i.e. Outskirts Press, CreateSpace, iUniverse) or forming your own publishing company is a serious choice that needs to be considered for the short and long term. Spend time and use professional resources to write the best product you can. The last thing you want to worry about when you start marketing is that your book has errors, hard to read, or is just not written well. Spend the time (and money) you need to to make sure it is the best book you can produce at this time. After a lot of study, almost going with a publisher and then pulling back we decided to form our own publishing company and have total control over the look of the book, the marketing and sales and be able to reap the rewards. We have now become part of the growing industry of Independent Publishers and are members of the Independent Book Publishers Association (IBPA)- a great resource. It is critical to realize you are forming a company and are responsible for every step of the way. The good news is that today, there are so many wonderful choices on design expertise, Print on Demand, offset printing, and distribution that it is similar to managing a solo or entrepreneurial company. If you are already running your own enterprise this is an easy fit. If not, it will take a bit of work and a steeper learning curve. If you don't have time to be an independent publisher or don't want to do it all, check out some of the all inclusive companies such as iUniverse, Outskirts Press, CreateSpace and more. As a note of caution, do your homework first and learn about all your options as you do pay for their services in some form or another. To hear the entire story on the process we used READ The BookDesigner Blog http://www.thebookdesigner.com/2010/11/self-publishing-case-study-nonfiction-hybrid/ to hear about our entire story from design to distribution. If you like our book design I highly recommend Joel. He was fantastic to work with. When writing a book, especially one in which is going to be marketed over "the long tail," you need to have a steady hand and plan at your marketing efforts. Planning for the long tail is key which means using social marketing, PR (free advertising), speaking, blogging, writing, and every other means available to you to get the word out. Think of it as one step at a time, one day at a time, one book at a time. Book marketing today is viral, the more you get it out in the world, the more people will hear about it. Next week I will talk more about all the ways you can Market your Book on a Shoestring.